This will not be one of those presents that are just thrown away, or never used! Size - Measures 13" x 13" x 10" approx. The wood the boxes is made from is shisham (Dalbergia sissoo) - also known as Indian rosewood. 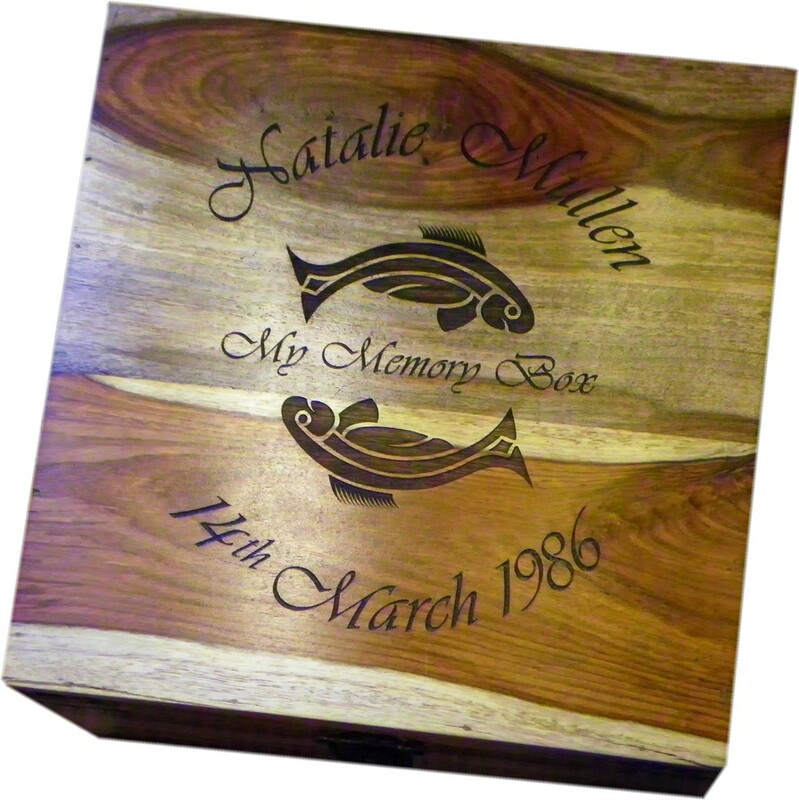 This is a very hard wood which allows us to engrave very fine detail without the wood splintering. The sap wood is pale and the heartwood a deep reddish brown. All of these boxes are different with a large variation in the colours of the wood. These boxes are handmade and are designed to be rustic. The metal strapping, handles and clasp on these boxes is lightly "blued" and distressed to give the boxes a lovely antique look. Please note - these boxes use metal fixings to hold on the handles and clasps. These are inside the box and we recommend that you cover these with a piece of of duct tape, or similar to avoid any chance of catching your fingers on them! Why not have one of our graphics engraved in the centre with the wording arched around? The celtic knot designs look particularly good with these boxes. 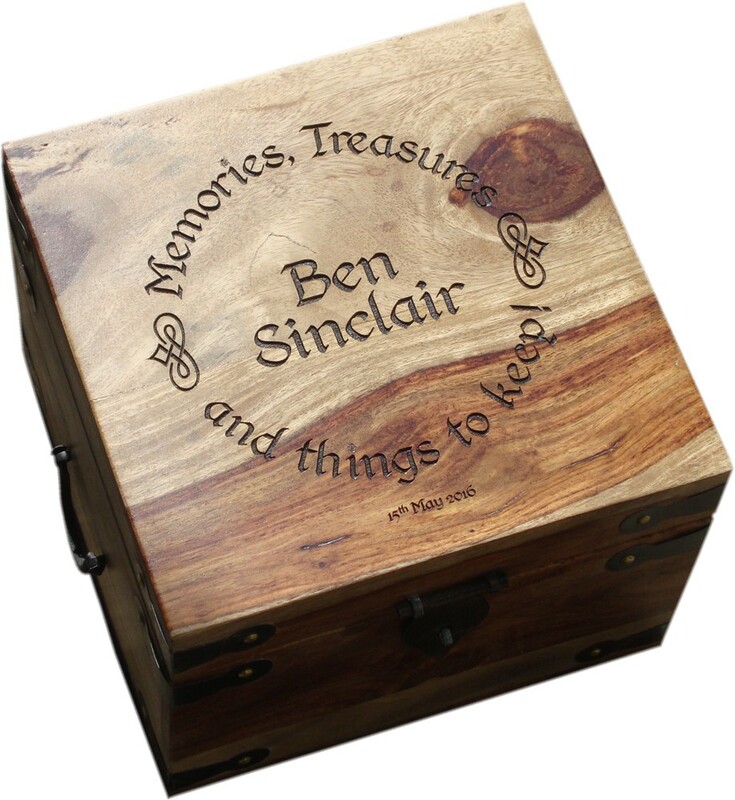 The photograph is of a box engraved in "MACINTOSH" font. These are sent with TNT and will need to be signed for.